BPA free and Non-Toxic: Bisphenol A (BPA) is a chemical used to manufacture numerous plastic household items. It is also used to harden plastic. Some reports claim that long-term use of BPA could result in health and development implications for infants. Plastic containing BPA which when heated can mix or leech through your baby's formula food or milk. 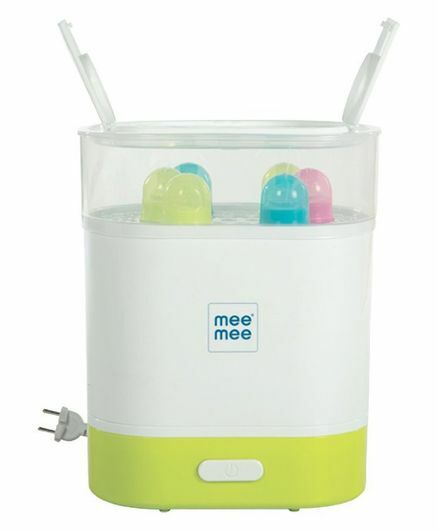 To Recieve updates and possible rewards for Mee Mee Advanced 3 in 1 Steam Sterilizer please sign in. To Recieve updates and possible rewards for Steriliser & Warmer please sign in.